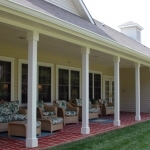 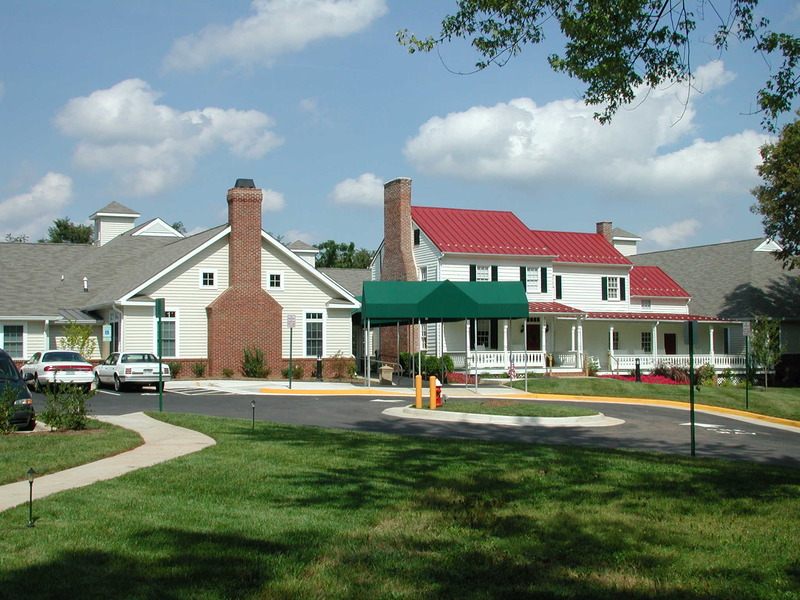 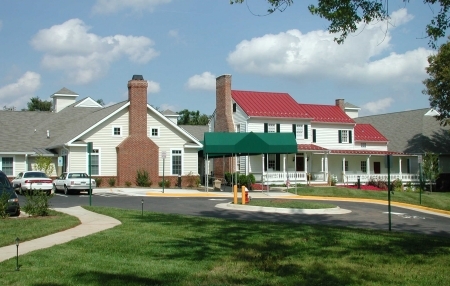 The existing farmhouse was kept as the focal point of this HUD financed assisted living residence located near the historic district of Leesburg. 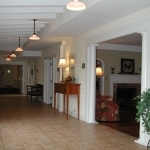 The farmhouse is used for offices, resident library, family dining and warming kitchen. 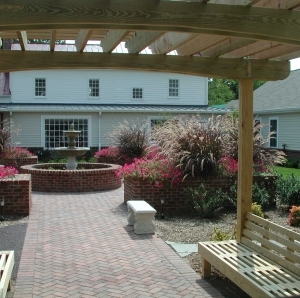 The 37 suite addition is to the rear and incorporates a large landscaped courtyard. 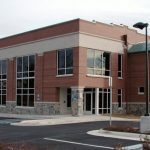 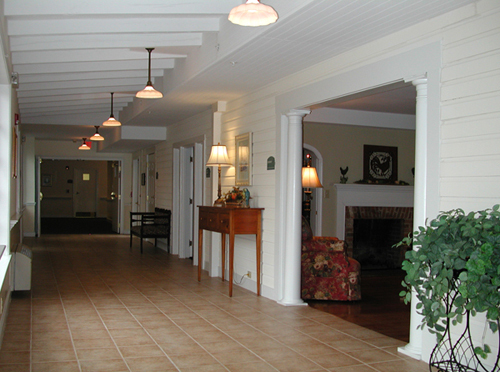 The single level, fully accessible facility has many destination spots for residents to enjoy as well as formal and private dining, snack cafe, hair salon, music room, crafts room, and wellness center. 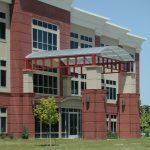 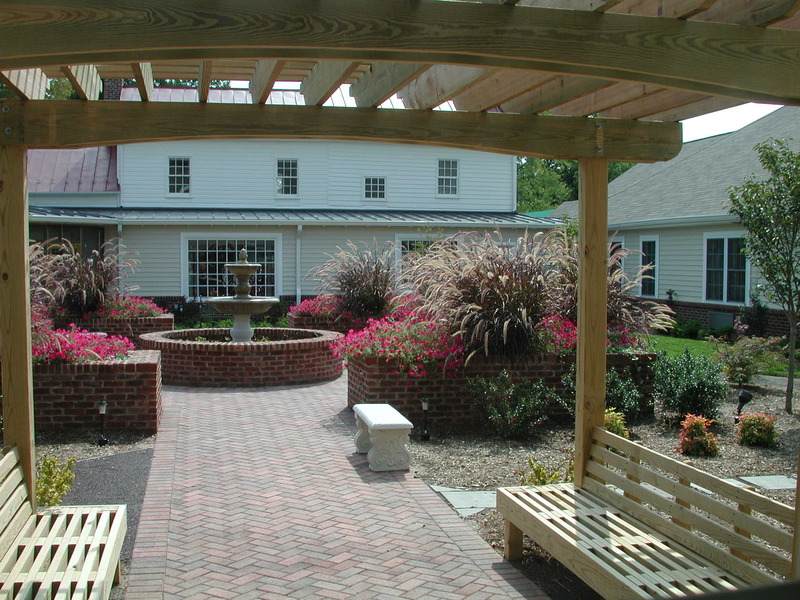 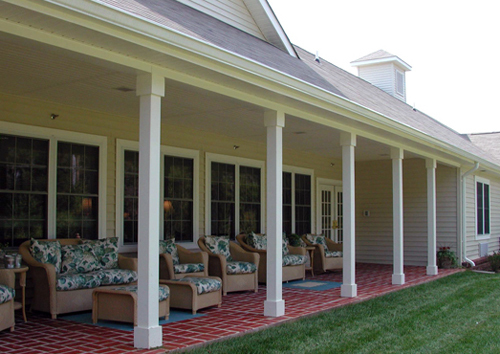 This project was featured in Nursing Homes Magazine, October 2002 issue.